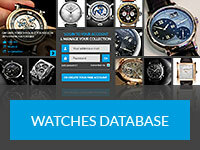 Luxury Swiss watchmaker De Bethune is something of an anomaly. Whilst others have striven for growth during the boom of the last two years – sometimes at any cost – this boutique manufacturer has held steady on production, even in the face of the ever growing demand for its exquisite products. 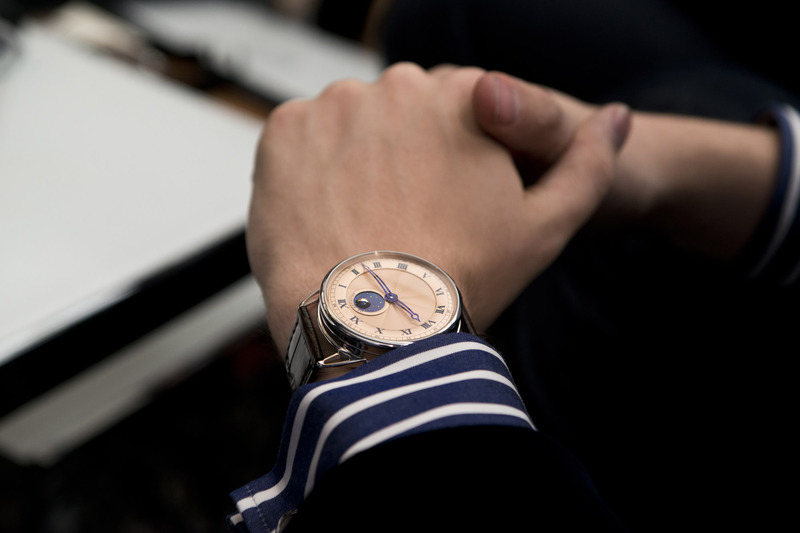 Their motto is simple: “not doing more, but instead, doing better.” And it is exactly this refusal to compromise that has seen the brand’s reputation for quality flourish in its short eleven-year history, making the exclusive timepieces it creates all the more desirable. 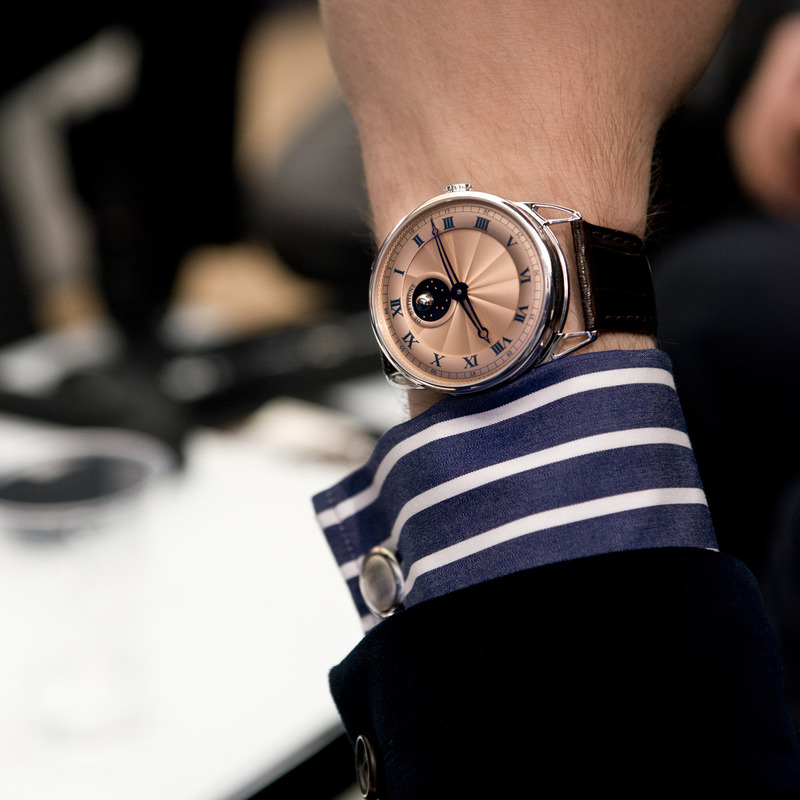 That and of course the fact that there is nothing else quite like a De Bethune. A breathtaking blend of traditional watchmaking and modern design, the brand appeals to a wide-ranging yet highly sophisticated audience. From the devout Patek Philippe collector to the ultra-modern art connoisseur, each can find some special detail to fall in love with, just as I did when I first laid eyes on the gorgeous De Bethune DB25 LT Tourbillon. 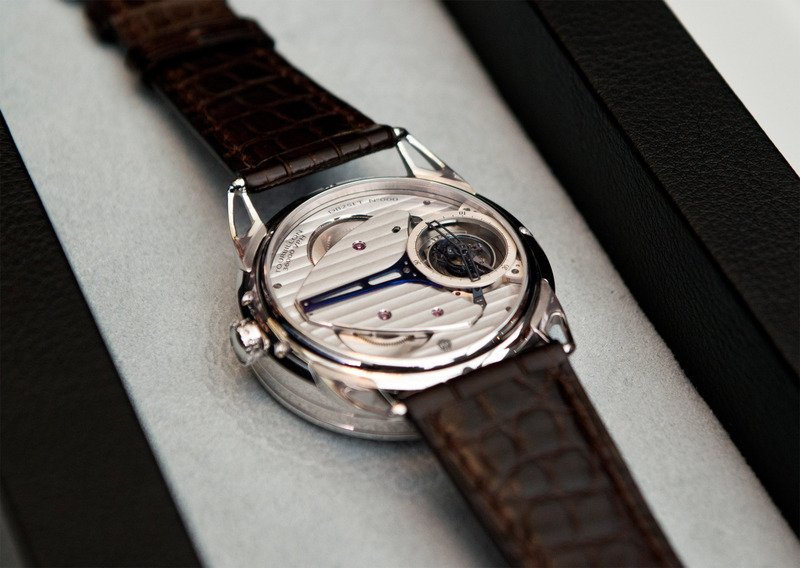 As the name indicates, the LT Tourbillon is part of the DB25 range, which is De Bethune’s classic watch collection. Inspired by the decorative arts the focus is on clean lines and pure design. Presented in a highly polished, drum-shaped platinum case, the LT Tourbillon could initially be considered a touch on the large side for such a classically styled timepiece, measuring 44mm in diameter. Strap it on to your wrist through and all doubts fade away as the sloping design of the open-worked lugs accentuates the roundness of the watch, ensuring a perfect fit every time. 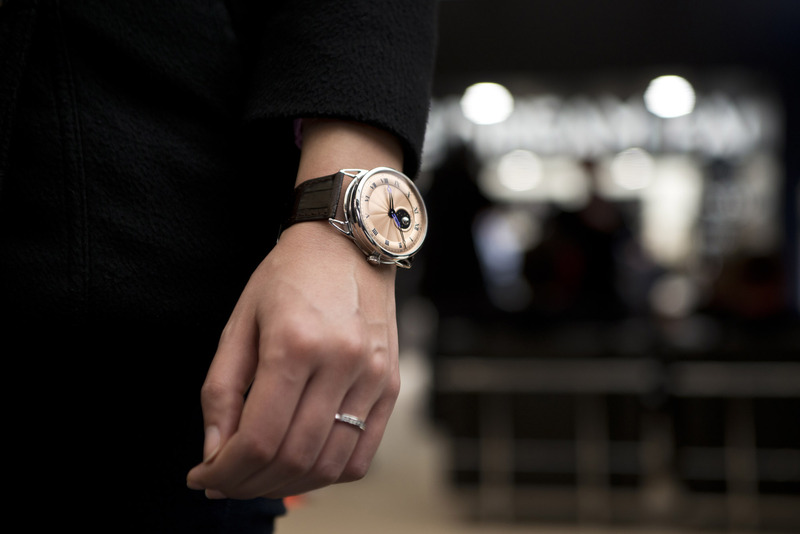 Even on the more slender wrist of a lady the watch sits surprisingly well, which might help you convince your significant other that it’s a good investment because you can both wear it. Fair warning though, you may find she won’t want to take it off, as it really is stunning on the wrist. This is in large part due to the eye-catching hand-guilloché dial, which has been crafted in stunning 5N rose gold and embellished with radiating motifs, creating a superb fiery contrast with the ice cold platinum case. It also provides the perfect backdrop for the curved, in hand-polished flame-blued steel hands and matching roman numerals, making legibility a breeze without compromising on style. 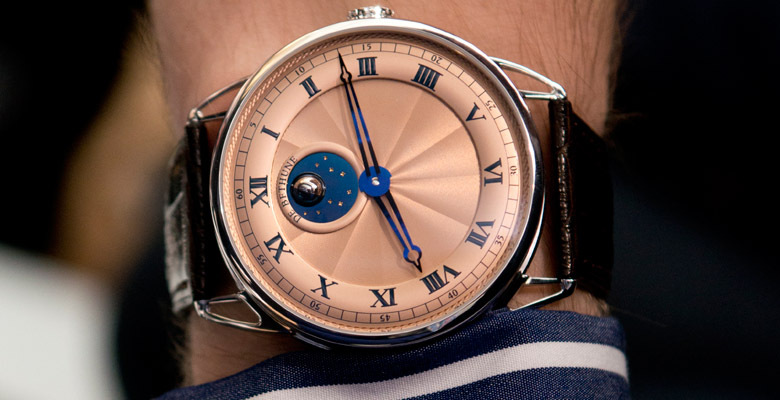 The real highlight though is the spherical De Bethune moon, which takes pride of place at 12 o’clock. Entirely mirror-polished and composed of two half-spheres meticulously set into blued steel and palladium, this three-dimensional indicator is driven by a high-precision mechanism requiring only one adjustment ever 122 years. Surrounding the moon is a star-studded sky in mirror-polished flame-blued steel inlaid with yellow gold stars. The overall affect is nothing short of resplendent. In truth photos can only tell part of the story, as every time the dial catches the light in a new way a previously unseen detail reveals itself to you. It’s almost ironic really that such a seemingly simplistic design could be so mesmerizing and yet when you hold the De Bethune DB25 LT Tourbillon in your hands (or better still, wear it on your wrist), it’s hard to tear your eyes away. 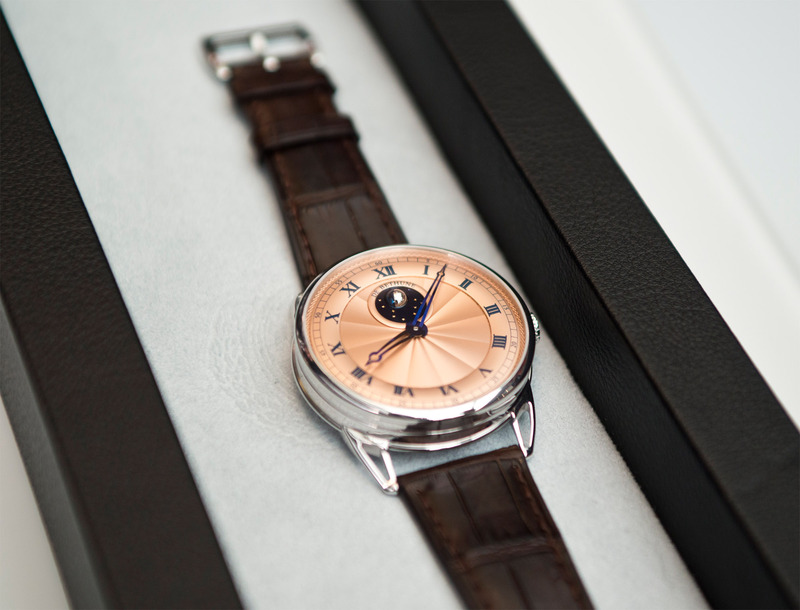 For me this is a testament to the vision of De Bethune co-founders David Zanetta and Dennis Flageollet. Rather than using unnecessary adornments to capture the wearer’s attention, they have instead focused on doing the simple things to the highest standard possible. After all, if you were to describe the LT Tourbillon in utterly plain terms, you would probably say it’s a gold face watch with a moon-phase complication, and yet nothing could be further from the truth. Rather it is a work of art, a miniature sculpture for your wrist if you will, that is made all the more desirable by the fact that it refuses to cheapen itself to get your attention. There are no tricks here, no superfluous details, simply an understanding that true beauty comes when all elements of the design are in harmony. Of course, it’s not just the dial that deserves your attention. Turn the watch over and you are greeted with the sight of the avant-garde DB 2519 calibre mechanism powered by a 30-second silicon and titanium tourbillon with its balance-wheel oscillating at 36,000 vibrations per hour, making it one of the fastest and lightest in the watch industry with its 57 components weighing just 0.18 grams in total. Comprised of 354 parts in total, the self-regulating twin barrel movement offers a 5-day power reserve when fully wound, with the higher beat frequency ensuring precision time keeping. As with all De Bethune pieces however, it is the architecture of the movement that I find most striking. On the one hand the design appears almost futuristic and yet at the same time there is an undeniable traditional feel to it, the subtle finishing reminiscent of a classic wristwatch. Best of all though it keeps its secrets, i.e. the wonderfully intricate tourbillon, hidden away exclusively for the viewing pleasure of the owner. As such only true connoisseurs will recognize the complexity of this timepiece, whilst others will simply think it looks quite striking on the wrist without ever inferring its true value.